This leafy green is a super-versatile nutrient powerhouse. And thanks to these easy ideas, you have no excuse to leave it out of your next dish. Popeye, it turns out, was onto something. It’s full of lutein, which promotes healthy eyesight by preventing cataracts and macular degeneration. 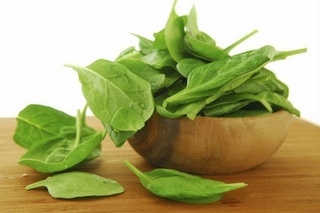 One cup of fresh spinach provides almost 200 percent of the daily value of vitamin K, which is essential for bone health. But perhaps the best thing about spinach is this: It’s extremely versatile, so you can keep it on hand and toss it into any meal. Here are five super-simple recipes to get you started. Fresh loose-leaf bundles are the healthiest, but you can also prepare this easy side dish with frozen or packaged spinach. Just heat 2 tbsp. olive oil and sautée spinach over high heat for two to three minutes. For extra flavor, add your favorite seasonings, like one clove of garlic (minced) or 1/4 teaspoon crushed red pepper. 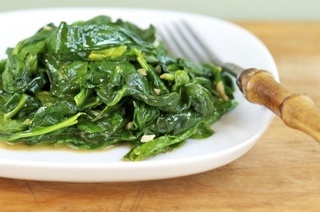 Tip: Cook up two bundles of spinach, since the leaves shrink. 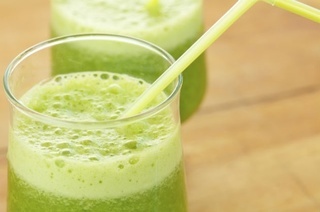 The green color may throw you off, but trust us, this green drink is not as bitter as it sounds. To make one 16-ounce smoothie, you will need 1 cup of water, 1 cup of baby spinach, 1 banana, and 3 to 4 ice cubes. (You can also add 1 cup of plain yogurt or some protein powder to give it a muscle-building boost.) Throw all of the ingredients in a blender and drink up for an easy snack. 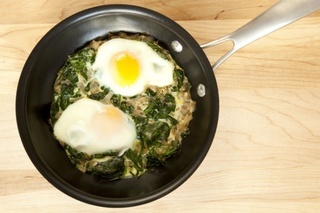 Next time you find yourself staring into a frying pan, try this unique spinach-egg combo: Sautée spinach in 2 tablespoons of olive oil over medium heat until it wilts, which should take about five minutes. 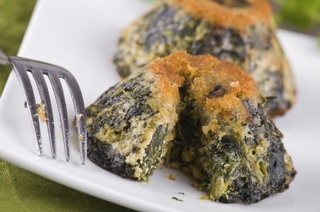 Then, form nests in the spinach before cracking an egg in each. Cover and cook for four minutes, until the egg whites are set. Garnish with Parmesan cheese or a dash of hot sauce. Perhaps the easiest way to add this leafy green to your diet is by swapping it in for iceberg lettuce next time you make a salad. Feel free to go nuts and add your favorite ingredients, but for a surefire recipe, try tossing walnuts, a sliced apple or pear, goat cheese, and currants. Mix 2 tablespoons of balsamic vinegar and 2 tablespoons of extra virgin olive oil for the dressing. Finally, cakes you can eat without reversing your workout. (Bonus: These Parmesan Spinach bites don’t just taste good—they are also perfectly portioned.) 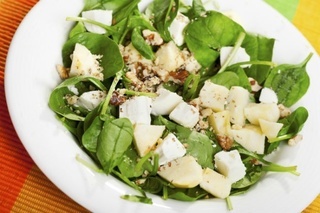 So start by throwing 12 ounces of fresh spinach into a food processor until finely chopped, then toss it in a medium bowl with ½ cup of low-fat cottage cheese, ½ cup of shredded Parmesan, 2 large eggs, 1 clove of minced garlic, ¼ teaspoon of salt, and ¼ teaspoon of ground pepper. Stir until combined. Pour mixture into a greased muffin tin (it should fill about 8 individual cups). Bake at 400 degrees for 20 minutes. Sprinkle on a little more Parmesan and serve warm.